Click here and let's chat! 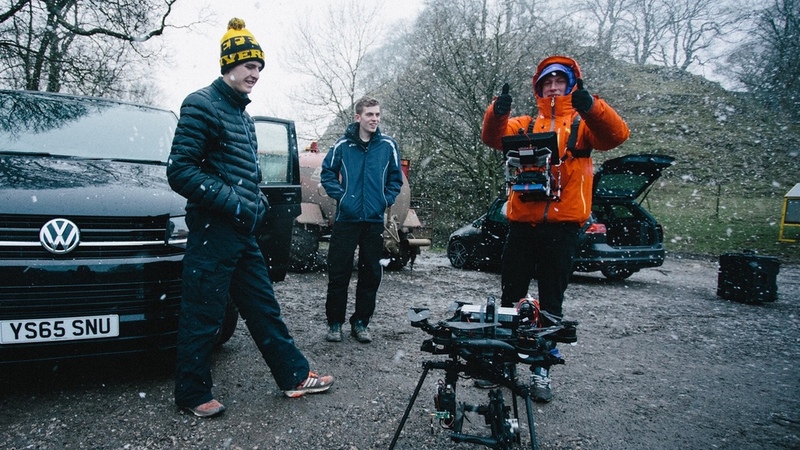 We provide the very best in specialist filming services, both on the ground, and in the air using our state of the art drone systems and high tech camera stabilising equipment ensuring steady smooth shots in virtually any location. As well as having our CAA UK Permission for Commerical Operations, Fleye is one of only 2 UK operators granted permission to fly our drones in Italy as well as having permissions to fly in France, Monaco, Iceland, Cyprus, Croatia and Germany. We have also operated in and have gained permissions to fly in Austria, Norway, Crete, Thailand, Portugal and Bulgaria. We're extremely proud of our safety record and are pleased to be part of the 1st Option Media Safety 'approved operators' list meaning there's no need to get us checked before your shoot. We're starting to see The Macallan - at long last! Roborace: Human vs Machine - Nicki Shields takes on the DevBot in HK! Find out our latest news and see what we've been up to in our little corner of the internet! - kit reviews too! Meet our lovely, hardworking team of people. Maybe you'd fit right in? More info in the link below.